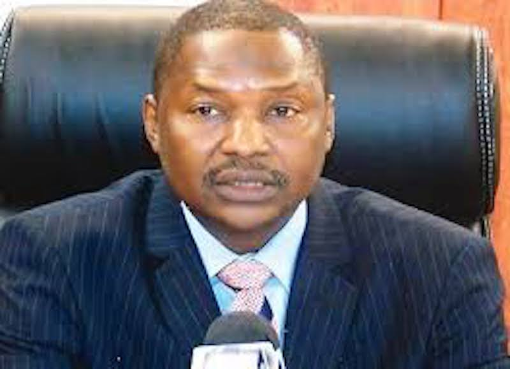 Attorney General of the Federation and Minister of Justice, Mr.
an act of desperation, and advised INEC to reject it. APC and 144 others; and Appeal No: CA/S/23/2019. letter dated February 13, 2019 and addressed to INEC Chairman, Prof.
to Section 38 and 39 of the Electoral Amendment Act 2010.
reference) requesting that the subsisting judgment in Suit No. governorship and the national and state legislative houses. may further wish to recall that in Suit No.FHC/ABJ/CS/1279/2018- APC V.
attached for ease of reference. doing so within the stipulated time frame. political party to participate in elections without recourse to the Act. supersedes the Federal High Court’s Position in Suit No. FHC/ABJ/CS/1279/2018 –APC V. INEC & 5 ORS. desperation, advising INEC to reject it. Assembly elections coming up on February 16 and March 2.
praying the court to be allowed to contest the elections. Magaji (SAN), had predicated his motion filed on February 8.
candidate before the main appeal is heard. contest the elections pending the hearing of the main appeal. strike out the appeal since there was no cross appeal. to be allowed to contest on a non-existent appeal, which had died. candidates of the Yari faction in the state. anything more than senior advocate, he should have been given. party but about my people,” Marafa said.